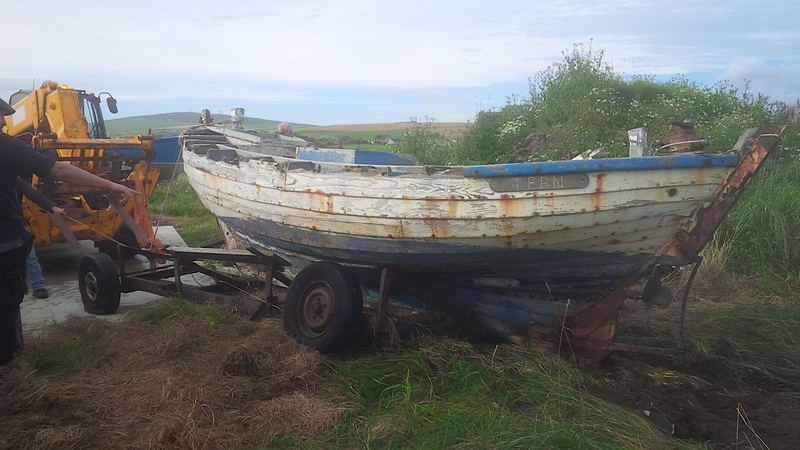 Stroma yoles are characterised by being very beamy all along their length compared to their ‘close cousins’, the Orkney South Isles yole. 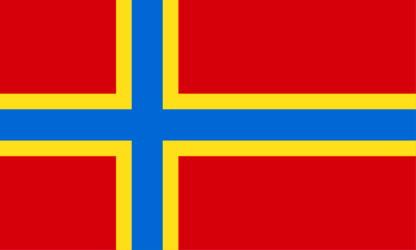 Commonly Stroma yoles have 12 to 13 strokes, whereas the South Isles yoles commonly have 10 to 11 strokes. 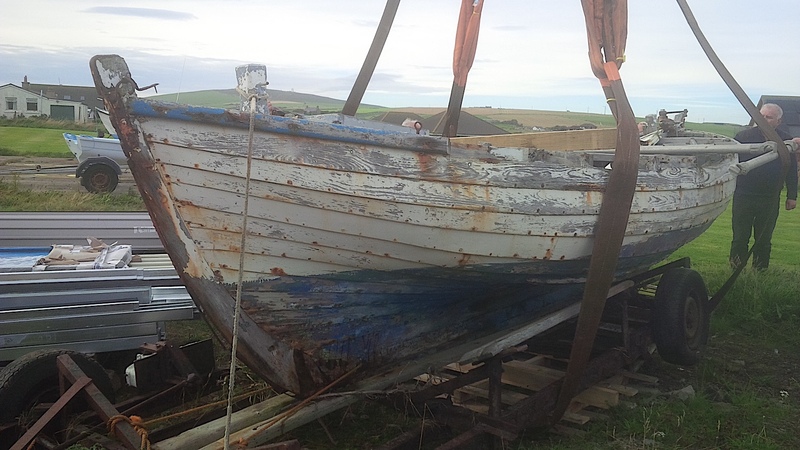 Like the South Isles yoles, the Stroma yoles, with a keel of up to 15ft, were fitted with two sprit sails. 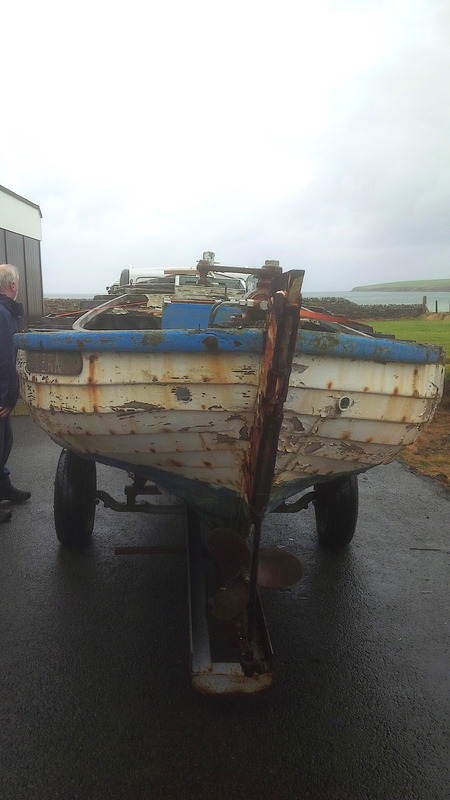 Built Stroma 1910. 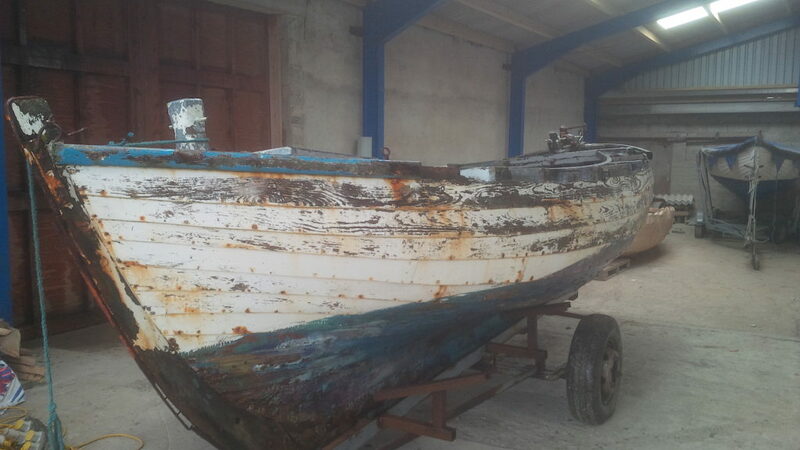 Length 5.52m (18ft 2in), Beam 2.26m (7ft 4in), Depth 0.96m (3ft 2in. 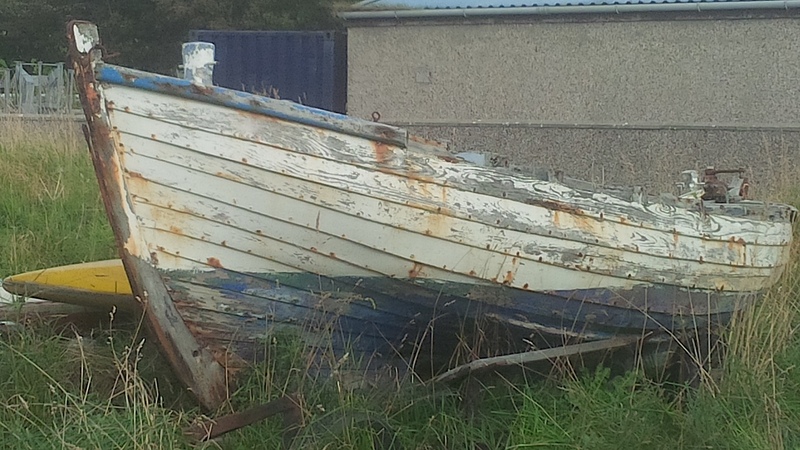 Another local source suggested she was built in Stroma around 1896. 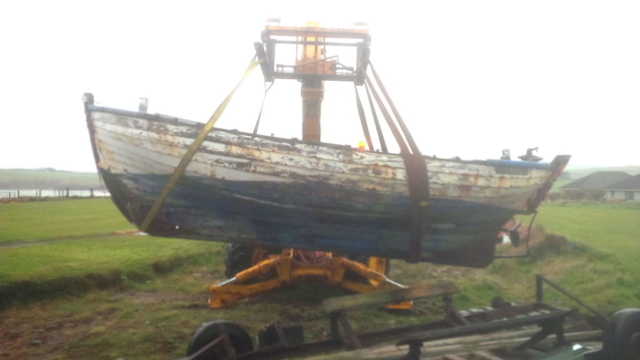 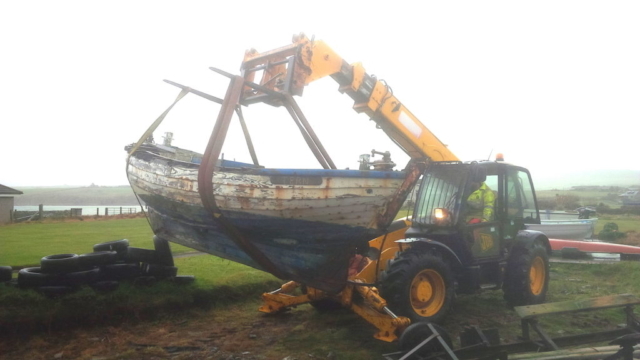 Research has also found reference to a yole named Tern being built in Stroma around 1900 by either Donald Banks or George Simpson; the last known boat built in Stroma being by George Simpson in the year 1913. 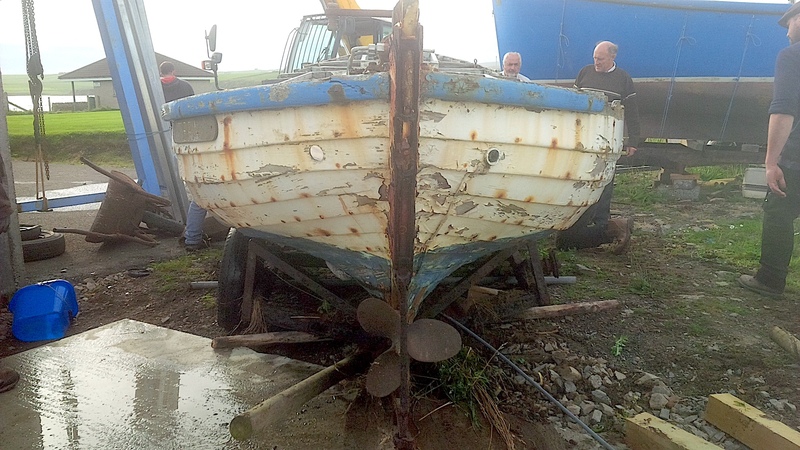 The same source also mentions a yole Tern being owned by Stroma resident David Manson in 1939. 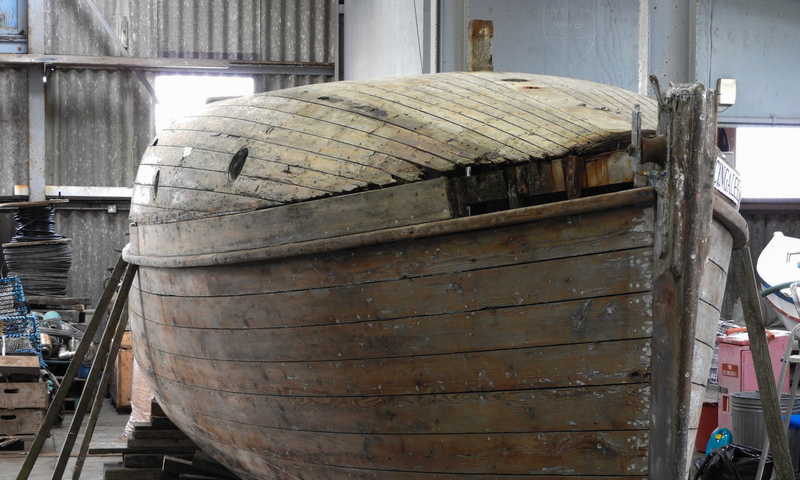 Built Stroma 1886. Keel 12.6ft (12ft 7in), Length 18.2ft (18ft 2in), Beam 7.2ft (7ft 2in), Depth 2.3ft (2ft 4in). An inboard motor was added a some time between the two registrations and the changes in recorded dimensions would be consistent with the general practice of the addition of an extra stroke at this time. 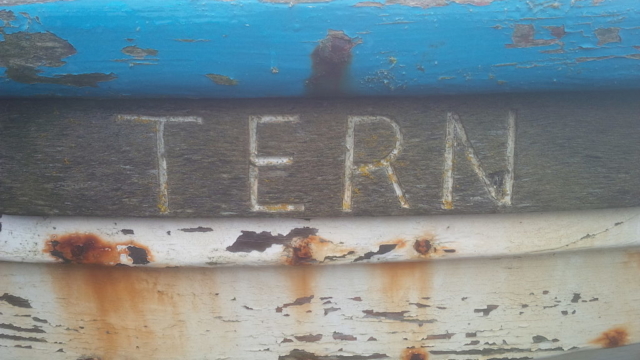 This is also supported by the visible extensions to the stern post and the timmers. 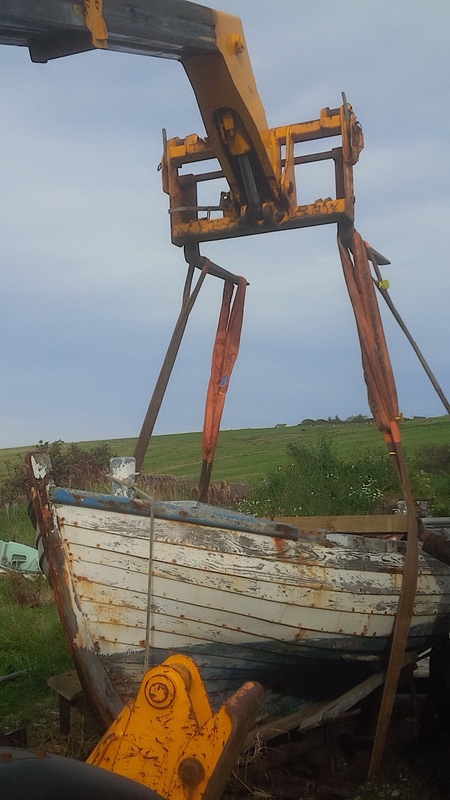 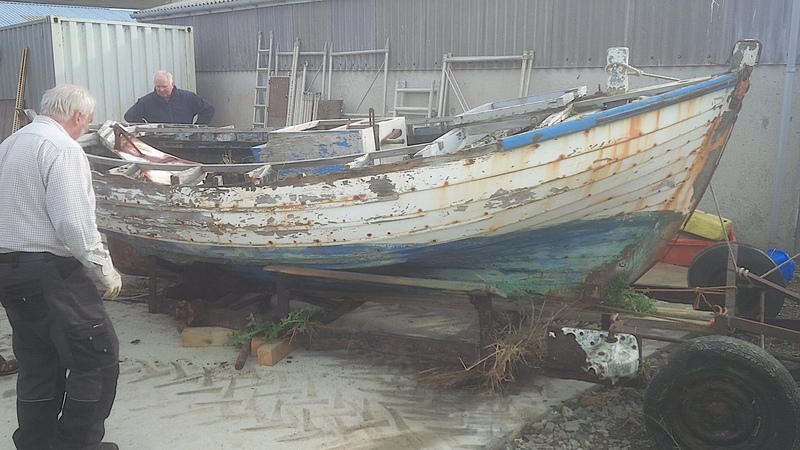 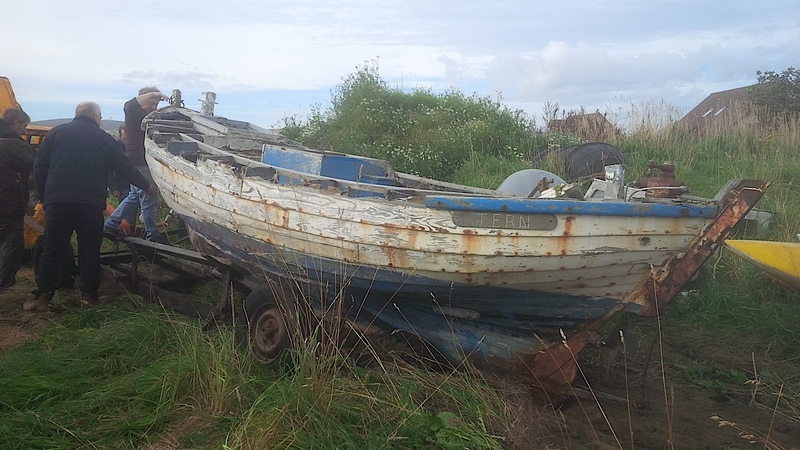 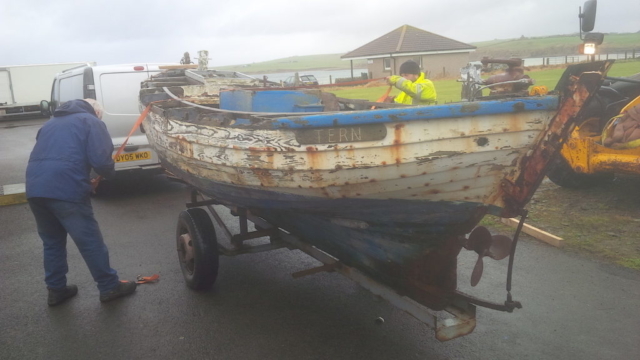 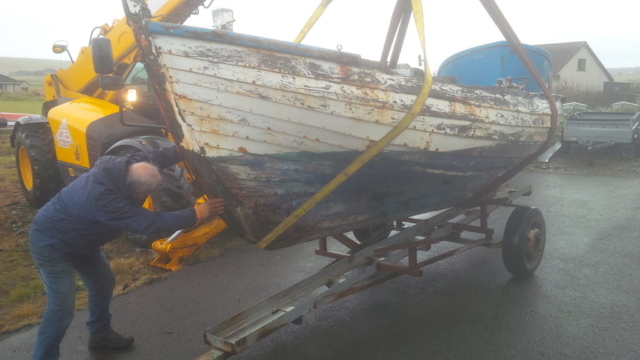 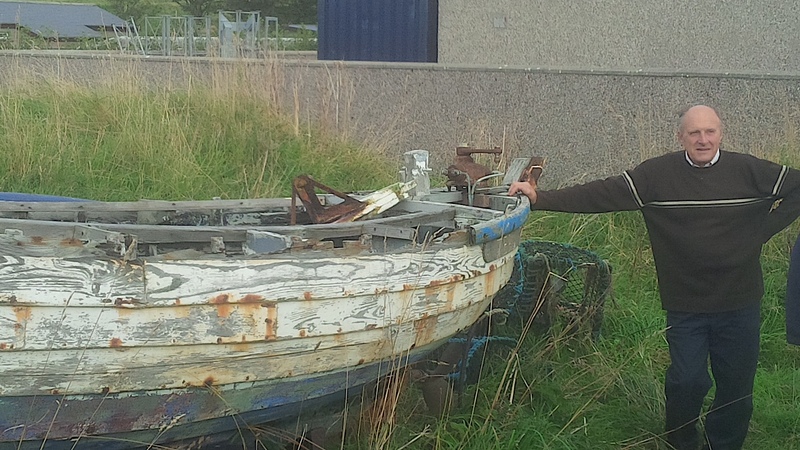 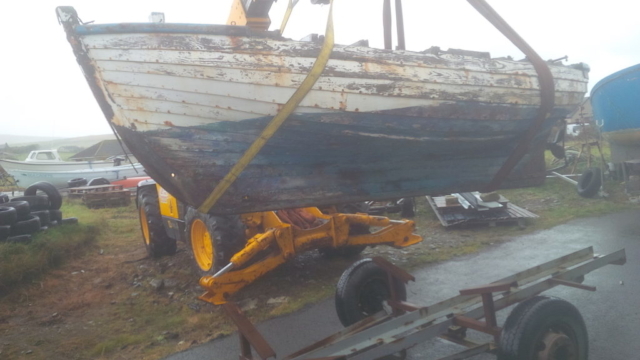 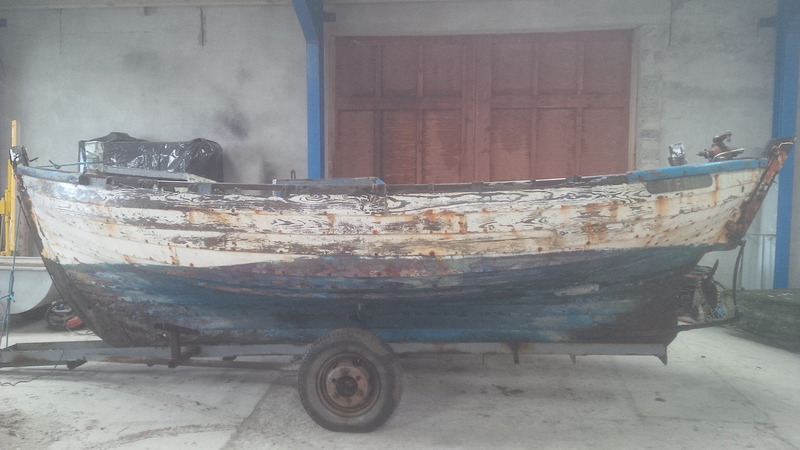 We are confident that we have identified the boat correctly, but there is still a lot of research to be done into the history of the boat between 1941, when Donald Manson’s fishing registration was closed, and 1984, and when she was registered in Orkney.